The Process: How Do I Do It? White Cedar is naturally grown in the North in cooler climates. White Cedar Shingles and Lumber is located in the heart of the Northland and is surrounded by acres of White Cedar forests. Our mill is located on a pier in Lake Superior in the city of Duluth, Minnesota. Our trucks load the logs in the woods, and bring them to the mill. Our logs are hauled by JBT Company, a company owned by the owner of WCSL, Hobart Finn, for twenty years. "JBT" stands for "Julie's Big Trucks" - the company is named for Hobart's sweetheart. 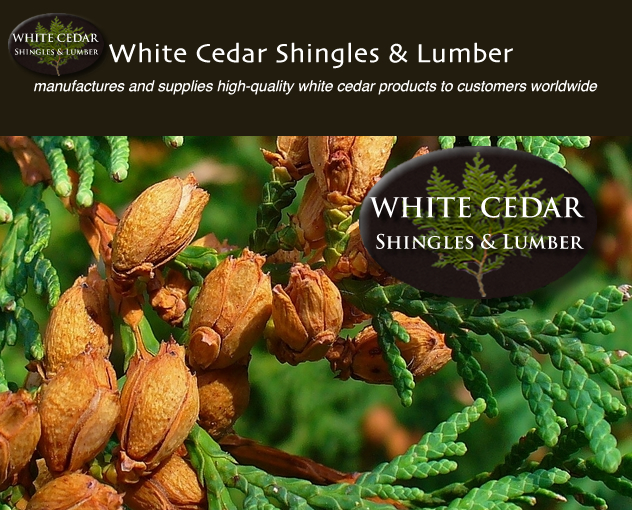 At White Cedar Shingles & Lumber, we know our logger's personally, and we have built longstanding relationships of trust and respect for their forests and their land. White Cedar Shingles & Lumber uses the same saws that were traditionally used 80 years ago, only ours runs on electricity, not steam or gas.